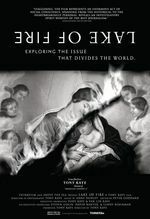 Lake Of Fire is a very dark, very thorough, very good, and very triggering 2.5-hour documentary by Tony Kaye about the politics of abortion in the US in the ‘90s and early aughts. The film captures a range of beliefs about abortion, manifestations of community among the pro- and anti-choice, the blood that has been shed in the war, and (a fraction) of the reality of the process of getting an abortion. Two very graphic trips to abortion clinics that bookend the meat of the film. Below, I provide a breakdown of the individuals that IMDb credits as appearing in the film. As good as Lake of Fire, a number of interviewees don’t appear to be credited on screen. This makes it hard to tie all of their players to their statements and positions, but I’ve done my best to split them up. I don’t recall seeing folks with (?) next to their names, so I’ve position them using relatively uninformed guesses. Many of these folks don’t really fit into the simple binary of pro- and anti-, but quite a few do. Some of these interview subjects are only present for a few sound bytes despite their prominence while others are given relatively large swathes of screen time despite being minor players. I could have used more Frances Kissling and less random-protestor-Andrew-Cabot, but Kaye makes it all work very well. (The juxtaposition of Cabot and Hill makes the former seem all the scarier.) The framing with the visits to the abortion clinics is particularly well done, and the entire Norma McCorvey section is gripping. Kate Michelman, the (now former) President of NARAL Pro-Choice. Brookline Planned Parenthood Security Guard Richard Seron, who was present during John Salvi’s attack on the clinic. Lawyer Sarah Regle Weddington, who represented Norma McCorvey in Roe v. Wade. Reverend Flip Benham, the activist who brought Norma McCorvey into the anti-choice camp while the he was the director of Operation Rescue National. Anti-abortion activist, former KKK member, and convicted child molester (post-film) John Burt, who served as a spiritual advisor to both Paul Hill and abortion clinic bombers Matt Goldsby and Jimmy Simmons, and was somewhat affiliated with Michael Griffin. South Dakota State Representative Roger Hunt, the prime sponsor of the “Women’s Health and Human Life Protection Act”. Norma McCorvey, better known as “Jane Roe” of Roe v. Wade.